The garage door opener(8) is install on the center line on top of the garage door, mounted to the ceiling on one side(6), and through the powered rail (4), mounted on the wall on the door side (1). Inside the powered rail is either a chain cable or a belt (5), connecting the motor of the opener to the door through a trolley (3) and a set of door arms (11 & 12). The opener is controlled by a micro computer with radio receiver. Its main function is to open or close the door quietly and safely. Modern opener can operate in soft-start-soft-stop mode, return on the light for an adjustable period of time, recognizes more than 10 transmitters in rolling code, smart enough to reverse upon obstruction, amount many other safety features. Mechanically, the door locks itself once closed, and in case of power blackout, by pulling the trolley (10) connected to a handle by a rope, the door can be disengaged for manual operation. 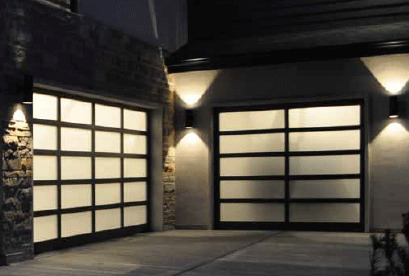 mounted on a well balanced door and installed by Wonderlee professionals, the garage door opener can easily last more than 10 years, and will not go out of fashion. From the world's largest garage door opener manufacturer, LiftMaster™ opener is robust, reliable with enhanced safety and security features.